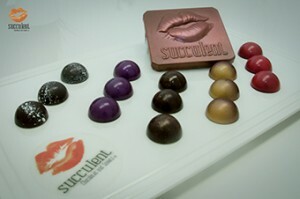 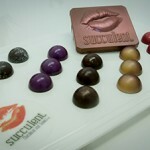 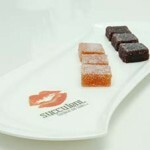 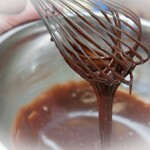 Our mission at Succulent Chocolates and Sweets is to provide the ultimate chocolate experience for our customers. 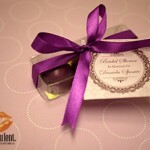 Our passion for chocolate and quality guarantees that our hand crafted, decadent chocolates and confections will leave you longing for more. 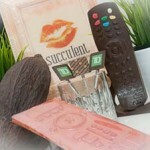 We are experts in combining high quality coverture chocolate with natural and bold flavours ensuring that one small bite will have a big impact. 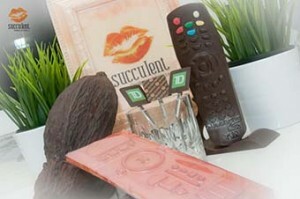 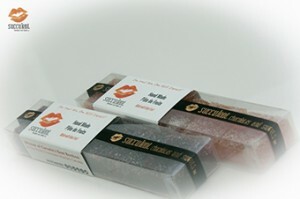 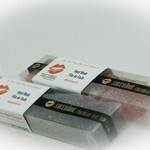 Our award winning chocolates have been featured on Global TV Morning Show, Breakfast Television and Rogers TV. 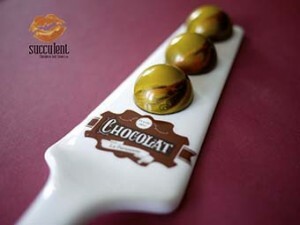 We currently hold the honour of “Canada’s Best Chocolate Bonbon” awarded to lead chocolatier and owner, Chef Sandra Abballe, at The World Chocolate Masters Canada. 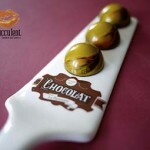 World Chocolate Masters Canada Best Molded Bonbon. 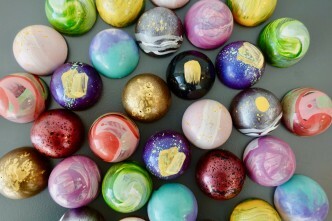 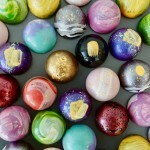 Hand painted, hand crafted, decadent bonbons. 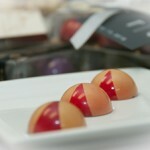 Boxes of delicious Pate de Fruit. 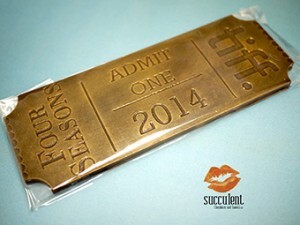 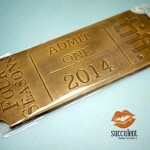 Custom TIFF ticket chocolate bar. 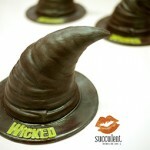 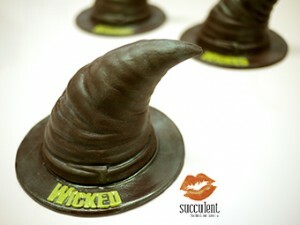 3D custom chocolate Wicked hat. 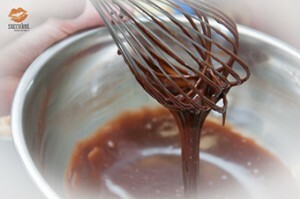 The perfect corporate team building event. 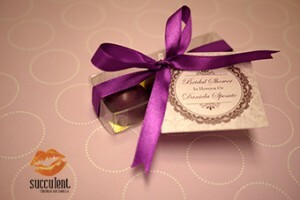 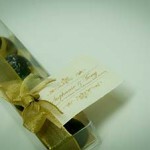 Add your own ribbon to our chocolate for a personal touch. 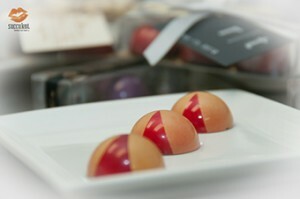 Pate de fruit in raspberry and passionfruit flavours.